This guide will serve as an introduction to home loans. By reading it, you will learn the basics of what is needed to get a home loan, including the types of home loans available, important terms related to home loans and what they mean, what you need to acquire a home loan and the steps you’ll need to take when purchasing a house with your home loan. A big part of the home buying process is determining how much you can afford. This may seem intimidating, but don’t worry—Mission Fed is here to help. Your monthly expenses, down payment amount and interest rate will all play a large part in figuring out how much you can comfortably spend each month on your mortgage. We will also provide a list of calculator resources in this guide that you can use to help determine your home buying power. You will learn about financial resources available to you once you’ve purchased a home, such as home equity loans, home equity lines of credit and refinancing your home. 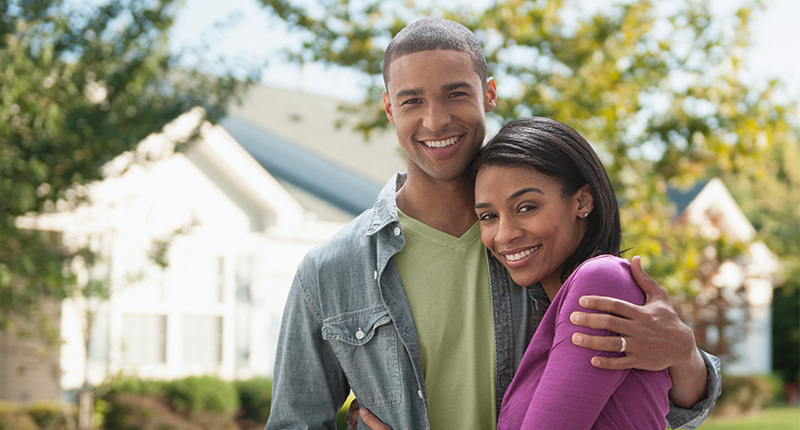 Homeownership can be an important step in securing your financial future, both now and long-term. At Mission Fed, your success is our bottom line, and that means we’ll be by your side when it becomes time to secure your Home Loan. The first step to getting a home loan is learning the basics, which includes understanding important terms and knowing your home loan options. Mortgage: This is another word for a home loan, a legal agreement in which a person borrows money to buy property (such as a house) and pays back the money over a period of years. The house you buy acts as collateral in exchange for the money you are borrowing. Interest: Interest is the price you pay, computed on an annual basis, to borrow money. Fixed rate: This means that your interest rate stays the same throughout the duration of your mortgage. Variable or adjustable rate: This means that your interest rate will periodically change over time, meaning that it could go up or down throughout your loan term. Mortgage points: A point is a fee equal to 1% of the principal mortgage amount. Points are collected at the closing of the mortgage loan. Discount points: Some lenders will allow you to lower your interest rate by purchasing “discount points” upfront. Each discount point costs 1% of the total loan amount. Closing costs: There are additional expenses beyond the price of the property in a real estate transaction. These fees are paid at the closing of the real estate transaction and can be incurred by either the buyer or the seller. Closing costs can include such costs as lender’s title insurance, title services, appraisal fees, tax service, recording fees, credit report, flood certification, loan origination fees, courier fees and recording fees. Finance charge: This is the total amount of interest and loan charges you would pay over the entire life of the mortgage. This assumes that you keep the loan through the full term until it matures (when the last payment needs to be paid) and includes all pre-paid loan charges. Loan origination fee: This is a fee paid to the lender for processing a loan application, calculated as a percentage of the mortgage and paid or added to your mortgage at closing. Down payment: This is the amount of money that you pay towards the purchase of a home at the time of the transaction. You are not loaned this portion of the purchase price. Jumbo loan: A jumbo loan is the same as a home loan, only with a higher loan amount than the traditional mortgage limit. FHA Loan: This is a mortgage from a federally qualified lender that is insured by the Federal Housing Administration (FHA). They are designed for low-to-moderate income borrowers who cannot afford a large down payment. Homeowner’s insurance: This is insurance that typically provides coverage in case of fire, theft, certain natural disasters and personal liability if someone is injured on your property. Homeowner’s insurance protects the lender in the event that the property securing your mortgage is lost. You’ll need to provide proof of homeowner’s insurance in order to obtain a mortgage, and you must keep insurance on the property throughout the life of the mortgage. Private mortgage insurance (PMI): This protects your lender in the event that you are unable to repay your mortgage. PMI may be a mandatory condition for securing a loan with a down payment of less than 20 percent of the home’s cost. Title insurance: When you buy a house, your mortgage lender checks to see if the seller has the legal right to transfer the ownership “title” to you. Title insurance protects against a loss in the event that there is a problem with the title down the road, such as if there is an invalid deed in the property’s history or if a former owner makes a claim on the house. Flood insurance: Homeowner’s insurance generally does not cover flood damage. If you are in an area that experiences flooding, you may be required to have flood insurance to secure a mortgage. Earthquake insurance: Typical homeowner’s insurance does not cover earthquake damage. You can purchase earthquake coverage in a separate policy from a private insurer or via the California Earthquake Authority (CEA). While damage from earthquakes is not covered under standard homeowner’s insurance, fire damage resulting from a fire following an earthquake usually is covered. Earthquake insurance is not required to obtain a mortgage, but in California it must be offered when you purchase homeowner’s insurance. Amortization: This process refers to paying off debt over time through regularly scheduled payments. Single-family home: This is a free-standing residential building that does not share walls with any other structure. Condominium (condo): This means a building or community containing individually owned housing units and sharing jointly owned common grounds. Townhome: This is a home that is often a two-or three-story unit with shared walls or is connected to other units. Townhomes usually have a similar ownership structure to condominiums. Homeowner’s association (HOA) fees: This is a fee paid monthly for the upkeep of common areas in a planned development such as a condominium or townhome community. Multi-family home: This means a building or property containing multiple housing units, such as a duplex or an apartment building. Investment property: This is a property that is purchased in order to earn money, either through income from rent, future resale value or both. Because an investment property is purchased in order to make a profit from an eventual sale, the buyer is likely trying to make any improvements and sell relatively quickly to avoid losing money on mortgage payments. An income-producing property, on the other hand, is intended to provide a steady flow of income over an extended period of time. Income-producing property: This is a property that is intended to earn income through renting or leasing units. An income-producing property can be a single-family home or a multi-family building. An income-producing property will need to be kept up for tenants, and you’ll also need to pay the mortgage and insurance. What you charge for rent or lease fees should cover all expenses and additional monthly money to provide a steady income. Mortgage amount: This means the balance of your home loan that you financed. Annual Percentage Rate (APR): The APR includes not only the interest rate but also the points, mortgage broker fees and other charges you have to pay to get the loan. This may vary based on credit and collateral qualifications. The APR also helps you figure out how much your total mortgage will cost and will help determine your home buying power. Starting interest rate: This is the interest rate for the initial period of an adjustable mortgage loan. Interest rate cap: This is the highest possible interest rate that you could pay on an adjustable rate mortgage. Your interest rate may rise and fall, but it will not exceed the interest rate cap. Months between adjustment: For an adjustable rate mortgage, this means the number of months that your interest rate will remain fixed between adjustments. Expected adjustment: This is the amount that you expect your mortgage interest rate to change. Total payments: This means the total amount of all payments, including principal and interest, assuming no pre-payment of the principal. Total interest: This is the total amount of interest paid over the full term of the mortgage, assuming no pre-payment of the principal. Pre-payment penalties: This means an extra charge for paying off your mortgage early. Mortgage commitment: After a lender has pre-approved you for a home loan based on your income and credit, they will issue a loan commitment letter that states that they will lend you money pending successful underwriting and verification. Underwriting: This is the process of evaluating a loan in terms of the risk to the lender, including the value of the property and the borrower’s ability to pay back debt. Loan to Value ratio (LTV): This is the amount of your loan relative to the appraised value of the property. For example, if you borrow $130,000 to purchase a house worth $150,000, the LTV is 87%. Debt to Income ratio (DTI): This is the amount of the borrower’s total debt, including all loan payments and other debt, relative to income. Escrow: This means giving documents and money to a neutral third party to hold direct payments of funds during the home purchase process. Escrow Account: Escrow can also refer to an account that the lender holds into which a homeowner pays property taxes and insurance payments. Lien: A lien is part of a loan contract that grants the lender certain legal rights over your property in the event that you don’t pay the loan. This is a legal claim against a property that has to be paid upon the sale of the property. There are several types of home loans or mortgages available to borrowers, each presenting different advantages and drawbacks. Fixed rate mortgages mean that you make fixed (unchanging) payments on a monthly basis for the length of the mortgage. The terms can range anywhere from a 5-year fixed mortgage all the way up to 30 years, which is the typical mortgage term. If you are planning on staying in a home for a while, a 30-year fixed rate mortgage is a good option because it gives you a predictable monthly payment for the life of the loan. The benefit of a shorter mortgage, such as a 15-year fixed rate mortgage, is that your loan balance will decrease faster, and the total interest dollars that you pay will be lower than on a longer loan. However, you will have a higher monthly payment. Fixed rate mortgages are also paired with jumbo loans, meaning you can receive a larger amount than the traditional mortgage limit. You will typically see offers for a 30-year fixed jumbo loan or 15-year fixed jumbo loan, meaning that you can plan on sticking to your monthly budget to make your monthly payments without any surprises when it comes to your interest rate for the life of the loan. If you decide to choose a home loan with an adjustable rate mortgage that means that your monthly payment will be adjusted throughout the life of the loan depending on certain conditions. The rate appears as a fraction, with the numerator (the top number) telling you the ARM’s initial fixed rate period in terms of years, meaning that your interest rate will be locked in for a select number of years. The denominator (bottom number) denotes your adjustment period, which shows how often the rate can change in terms of years. Although the interest rate is adjustable and your payment can change over time, there are advantages to an ARM loan. Since rate adjustments are capped, your ARM loan payment won’t skyrocket. As such, the risk associated with rising rates isn’t as scary as you might think, and your rate could actually go down. The interest rate during the fixed period of an ARM loan is often lower than fixed-rate mortgages, so an ARM loan is particularly beneficial for anyone looking to move within the fixed period. This lower rate can also allow you to save money up front or give you the chance to pay more than your minimum payment in order to pay down your mortgage faster. 5/5 ARM No Closing Cost: Your interest rate stays fixed for the first five years and then adjusts once every five years after that, beginning immediately with the sixth year of your loan. A 5/5 ARM can provide a low initial rate and smaller monthly payment than a fixed mortgage, but over time your interest rate and monthly payment could become larger. The lender usually pays all non-recurring closing costs up to a certain dollar amount. 5/5 No Closing Cost Purchase with Lender Paid Mortgage Insurance (LPMI): The same as the above option, except that your lender pays the private mortgage insurance. 5/5 ARM 30-year amortization: Your mortgage payments are based on a 30-year amortization (repayment in full) period. Your interest rate remains fixed for the first five years of the loan, then adjusts once every five years beginning with year six. 5/1 ARM 30-year amortization: Your mortgage payments are based on a 30-year amortization (repayment in full) period. Your interest rate is fixed for the first five years. After that, it adjusts once a year beginning with year six. 10/1 ARM 30-year amortization: Your mortgage payments are spread out over a 30-year amortization (repayment in full) period. While your interest rate is fixed for the first 10 years, it will adjust every year after that for the life of the loan beginning with year eleven. When your ARM loan enters the adjustment period, your interest rate may increase or decrease based on a variety of factors. The future of the housing market cannot be predicted, so be sure to talk to a loan representative to see which home loan option may be right for you and your needs. Your income is key to determining how much you can afford within your monthly budget and will help determine your home buying power. Experts suggest that your monthly housing costs should not exceed 32% of your gross monthly income. Your credit score can affect your interest rate, which makes a big difference in how much house you can afford and how much your home loan payment is monthly. Your current debts can affect your home buying power, too. 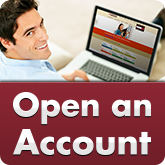 Do you have other loans, such as student loans, auto loans and credit cards that you are currently paying off? If so, how often are you paying them, and how much are your payments? Knowing your current debt will help you create a realistic budget and list of expenses. Your down payment can add or eliminate additional fees. The more money you put down, the less you have to borrow, which also means you’ll have less interest to pay. If you can put down 20 percent or more of the purchase price of your home, you may not need to purchase private mortgage insurance, which could save you hundreds of dollars each month. Your reason for purchasing a home will reflect in your home loan. Why are you purchasing a home, and how long do you plan to stay there? Do you want to stay in that house for the rest of your life? Are you looking to move within five or ten years? Do you want the property as a family home or perhaps one that can produce income? 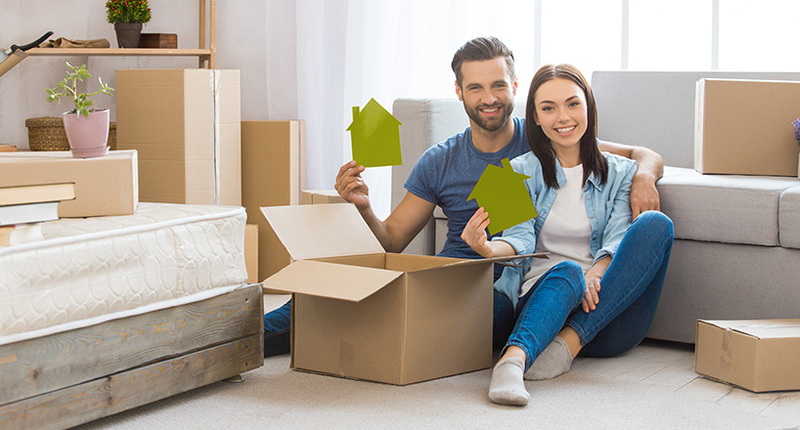 Determining your current and long-term plans for your home can help you decide which house to purchase in what neighborhood and what type of home loan is best. The housing market can change regularly, so it’s important to know what the market is like when you are considering buying a home. Ask yourself if the market is advantageous for buyers or sellers at the moment and what your timeline for purchasing a house is. The rental market is determined by many factors throughout San Diego County and can range a lot depending on the neighborhood or city. Figure out what the cost of rent is relative to the cost of purchasing a home, and then make sure you are doing what’s best for your budget and lifestyle. Getting preapproved for a mortgage means that you secure approval for a loan before purchasing a house. Preapproval occurs after a lender has checked your credit, verified your documents and approved you for a specific loan offer, which is usually valid for 90 days. Before you begin shopping for a house, it’s smart to get preapproved. Not only will you be able to shop confidently, but realtors and sellers could be more likely to accept your offer once you find the perfect house. Some buyers find out the amount they are prequalified for before getting preapproved. Prequalification is different than preapproval because the options presented by your potential lender are not verified or guaranteed to be offered as a loan. Instead, prequalification shows you the amount that you might expect to be approved to borrow based on information that you provide the lender. Unlike preapproval, the lender does not verify your information or do an in-depth look at your credit report and ability to purchase a home. Mission Fed offers online mortgage calculators that can help you figure out how much you might prequalify for. Then get preapproved for a Home Loan, check out Mission Fed’s online loan application, stop by a Mission Fed Branch or call our Contact Center 800.500.6328. Budget: Preapproval lets you know exactly what your budget is so you can house hunt with that in mind. Negotiate with confidence: A preapproval can help you negotiate with a seller, because with your preapproval letter in hand, your offer will be taken more seriously when compared to an offer that is not coming from a preapproved buyer. Act quickly: Once you identify the perfect house, you can quickly put in an offer that fits within your loan. Simplify the purchasing process: With a home loan preapproval, you don’t run the risk of not getting approved for the loan that you need for the house that you want in that amount. More options: Sellers may be more willing to negotiate with buyers who have a preapproval letter. Some sellers may even expect you to be preapproved before making an offer. Proof of income: This includes your current income-to-date, recent pay stubs and W-2 statements and tax returns from the previous two years, as well as proof of any additional income, such as alimony. Lenders may ask for more than two years of documentation, so be prepared for that, too. Proof of assets: This includes bank statements, investment account statements, cash reserves and proof that you have the funds to pay for the down payment and closing costs. If you are receiving money from a friend or family member to cover the down payment, you will need proof the money is a gift, not a loan. Good credit: The better your credit score is, the lower your interest rate will typically be. Employment verification: Lenders will often contact your employer to verify that you are employed and check salary information. If you are self-employed, you will have to provide paperwork verifying your business and income. Identity verification: Your driver license or personal identification and your social security number, along with your signature and permission to pull a credit report, will be required. How much you can afford based on your income and monthly budget. What your total monthly housing costs will be including utilities and expenses. How much you should expect to pay for closing costs. The area and type of home you picture yourself in. 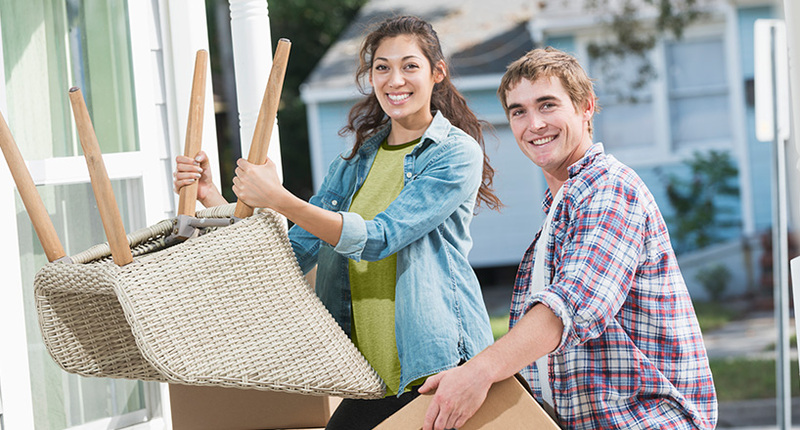 There are programs and loan options that benefit first-time homebuyers, such as FHA Loans, which are insured by the Federal Government and usually are not as strict on loan qualifications and can require a lower down payment than some traditional home loans. 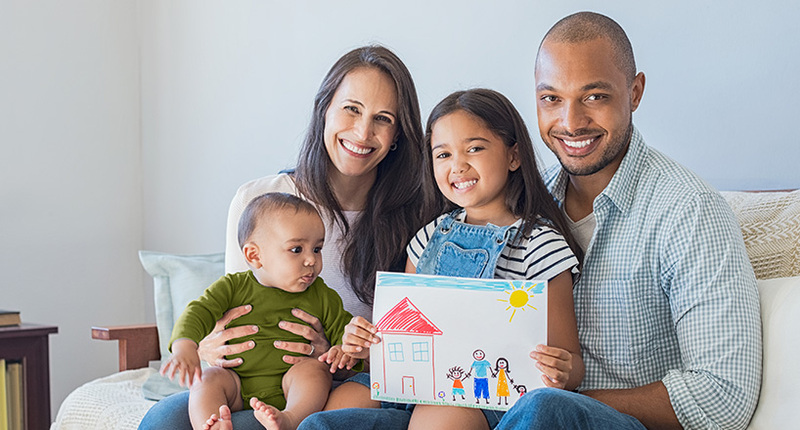 Mission Fed offers First-Time Homebuyer Seminars where a Mission Fed mortgage professional discusses the benefits and responsibilities of homeownership, the application process and much more. We also offer Realtor Days, where you can ask a local real estate agent questions about the home-buying process without obligation to use that realtor. First-Time Homebuyer Seminars are available throughout the year and knowledgeable staff can be reached Monday-Friday at your local branch or by calling 800.500.6328 and asking to speak with a mortgage specialist. Underestimating costs: Your mortgage payment isn’t the only cost associated with a new home—there are property taxes, insurance, repair and maintenance expenses, and Private Mortgage Insurance (PMI) if you put less than 20% down. Looking for a home before getting preapproved for a loan: Getting preapproved first and shopping later lets you know what you can afford, so you can shop accordingly. If there is an issue with your credit, getting preapproved first gives you the opportunity to fix the problem before you find a home that you like and enter negotiations. Finding a Realtor: The listing agent serves the seller, not the buyer, so it’s important to find a realtor who looks out for your best interests during the purchase process and who can help you negotiate the sale. Mission Fed Real Estate partners know a lot about buying and selling homes in San Diego County. The housing market can be competitive and our partners can help you. Visit us on one of our in-branch Realtor Days to speak with an agent or call our Real Estate Department at 858.524.2850. Depleting savings for the down payment to avoid mortgage insurance: Paying mortgage insurance isn’t necessarily something to avoid at all costs. Sometimes it is better to pay mortgage insurance and keep some money in the bank for emergencies rather than spending all of your savings on the down payment in order to save a little on your monthly payment. This depends on your situation. As a rule of thumb, your total housing expense should be less than 32% of your total monthly income. Remember, your “total housing expense” is more than just your mortgage. If you can afford it, putting down more money up front can lower your monthly housing expenses, but make sure not to deplete your entire savings. You’ll have a smaller mortgage amount financed, which leads to a lower monthly payment. You can negotiate for a better interest rate with your lender, because having more cash on hand to contribute to the home purchase makes your loan a lower risk to them. If you put down 20% or more, you will not be required to purchase private mortgage insurance (PMI), which can save you hundreds each month. Mission Fed has several calculators that help you figure out how much you can afford. Use these calculators to start planning for your next home purchase. Find out how much you can afford. Mission Fed offers Home Loan Calculators that can help you estimate a loan that you can afford or to discover how much income you need to get the loan that you want. 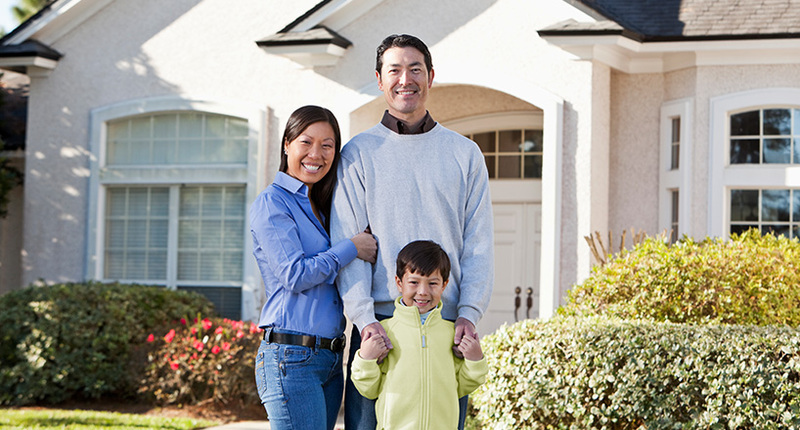 Visit www.MissionFed.com/Calculators/Home, or use the links above, to find a variety of calculators that you can use throughout your home buying journey. Check your credit. Per federal law, you can receive one free credit report per year. 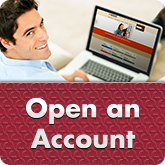 You may request your free report at www.annualcreditreport.com. You will not have access to your credit score for free. That can be obtained after paying a fee. Be sure to check your credit report for mistakes or omissions. If there is a mistake on your credit report, dispute it right away so that you can get the error removed, which can improve your credit score. Find a loan. Research a variety of lenders and choose the one that may be a potential fit for you and your home buying budget. Apply for your home loan. Many financial institutions, including Mission Fed, offer online applications, so you can receive a prequalification answer within minutes of submitting your completed application. Get preapproved and find a real estate agent who has your best interest in mind. Speaking with a Mission Fed Real Estate partner is a great place to start. Find a home that you like. Looking for a home to purchase can take some time, so be patient and keep your non-negotiable list in perspective with your budget. Make an offer. Your realtor will help you make an offer for the price you’re willing to pay and the terms in which you feel comfortable. Order a home appraisal to assess the home’s value. 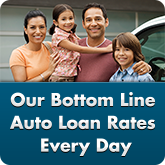 Submit your loan to the lender for underwriting. During underwriting, the lender will verify the information provided during the loan application, and review your income and asset documentation, as well as the home appraisal, title and flood certification. 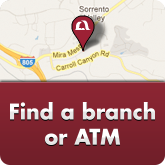 The lender processes the loan, sets up escrow and sends you the applicable documents to review. Receive your loan. Sign the documents to accept your loan. The funds are then transferred to an escrow company to distribute upon closing. Close the deal on your home! Sign your purchase and sale agreement with the seller and pay your closing costs. 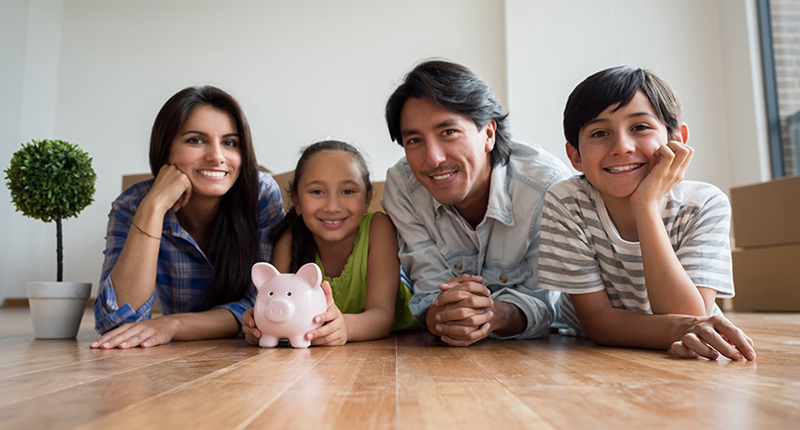 If you want to begin your search for a home loan in San Diego County, start with Mission Fed. 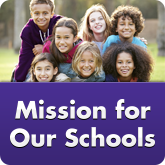 Visit www.MissionFed.com/Home-Loans, fill out our online application and have an answer in minutes. With our low rates and no pre-payment penalties on any of our loans, we’d love to join you on your home buying journey. There are several things to consider when you’re selling your current home and preparing to buy another. However, once you’ve established the best plan for you and your budget, you’ll be able to balance things and enjoy your next new home! Before you do anything official, look at the housing market in the area in which you currently live, as well as in the area to which you plan to move. Is the market hot, or is it a slower market? Work with your real estate agent to get a solid understanding of what comparable homes are selling for in either area. This way, you’ll set a realistic asking price for your current home and will be informed on what to offer on a new home. Since you’re both a buyer and a seller in this case, you’ll want to keep in mind how the market will affect your sale, purchase and down payment. The answer depends on the market and on your financial situation. If the market is slower, you’ll have an easier time finding a home you like at a reasonable price, but you may have a hard time selling your current home. Alternately, if the market is hot, you might sell your home quickly, but find it more difficult to find a new home you like for a price you can afford. Consult with a team of real estate experts like a real estate agent and home loan representative. Buying first is certainly easier, as you’ll have more time to move and prepare your current house to sell. However, in a slower market, it’s often advisable to make the purchase of a new home contingent on the sale of your current home—in fact, your mortgage may require it. It can be difficult to get a mortgage for a new home without having sold your old home. Otherwise, you may end up owning two houses, which includes carrying two mortgages, two homeowner’s insurance policies and two houses’ worth of maintenance costs, which increases the risk that you’ll be unable to make your payments to your lender. Owning two homes simultaneously also means you either have to worry about leaving one house unoccupied, or you have to manage renters. Similarly, in a hot market, you can make the sale of your current home contingent upon your purchase of a new home, or you could end up having sold your home without a home to move into! On the other hand, you’ll be clear on exactly how much money you’ll have to work with when purchasing your new home. You may choose to sell your home anyway and live in temporary housing (like a short-term apartment lease or staying with family) until you can buy your new home. With careful planning, you can also choose to end up in the situation described above—owning two homes at once for a limited time. If you’re able to sell your home and buy a new one all in perfectly timed order, proper planning beforehand should help you organize the closing dates appropriately. Preferably, your closing date on your new home should come before the closing date on your old home so you have plenty of time to move out and address any issues in both your old home and your new home in a timely manner. There are many long-term financial gains to being a homeowner and equity in your home is one of them. Here’s how you’ll be able to access your equity, once you have some. Home equity is the value of ownership built up in a home or property that represents the current market value of the house less any remaining mortgage payments. This value is built up over time as the property owner pays off the mortgage and the market value of the property appreciates. The value of your home less the amount owed on your home can be available for homeowners to borrow as a loan or line of credit. Once you build equity in your home by paying down the amount owed, by the home value rising or most likely, by a combination of the two, you will have equity in your home. Home equity loans and home equity lines of credit (HELOC) allow you to use the equity in your home as collateral to borrow cash. A home equity loan is a one-time loan that gives you cash based on the equity that you have built up in your home. A home equity loan is a good idea when you know how much money you will need to finance your home improvement project or pay for your child’s tuition. The amount borrowed is the amount you will owe and pay interest on. A home equity line of credit or HELOC uses the equity in your home to extend you a certain amount of credit that you can then dip into at any time, paying interest only on the amount you use. A HELOC works similarly to a credit card. You take money out of your HELOC to make a purchase, write a check or pay down other debt. Then, you pay the borrowed amount back with interest. Once your line of credit is replenished, you can borrow more. What can you use a Home Equity Loan or HELOC for? Make home improvements or renovations. Pay down high interest debt, such as credit card debt. Pay for your own or your child’s school tuition. Go on a once-in-a-lifetime vacation or check off a bucket list item. Mission Fed offers both Home Equity Loans and HELOCs. To figure out which one would be right for you, visit www.MissionFed.com/Branches and make an appointment to meet with one of our Mission Federal Real Estate Loan Advisors. Refinancing your home means replacing your current mortgage with a new one. You’ll pay off the old mortgage in full with your new mortgage loan, which then becomes your new mortgage with a new—often lower—interest rate, which may mean a lower monthly payment. To secure a lower monthly payment. To change the type of mortgage rate that you have either from fixed to adjustable or vice versa, to fit your current priorities. To get a shorter term and pay off your loan faster. To take cash out of the equity of your home. The length of the new loan vs. the length of your current home loan. The difference in your monthly payment. The total remaining balance of the old loan vs. the total cost of the new loan. By evaluating these factors, you can determine if refinancing is a good choice for you. If you are interested in learning more about refinancing your home, Mission Fed offers personalized mortgage refinancing options. Visit www.MissionFed.com/Mortgage-Refinancing to discover the potential benefits of refinancing your home loan with Mission Fed. Buying a home is not only one of the most life-changing events, but can be one of the most important financial decisions you’ll ever make. You acquire a place to call your own and take an important step towards securing your financial future. A home loan can help you realize that accomplishment and become a big part of your financial success. Homeownership can be an important tool for building your net worth. Every month as you pay your mortgage, you could be building equity in your home and taking a step towards greater financial success. Just as a house is built brick by brick, your financial success can grow month after month with each payment. By following the right home-buying process—from getting prequalified and then preapproved to finding a home that you like and closing the sale—you can help set yourself up for success. Once you are in a home, it is an important asset—and you may be able to use the equity in that asset in various ways, with home equity loans, home equity lines of credit and refinancing. As a homeowner, you contribute positively to the economy by taking responsibility in your community, maintaining and supporting your neighborhood and creating home improvement jobs. Mission Fed can help you get a great home loan so that you can become a homeowner and help build financial success for you and your family. 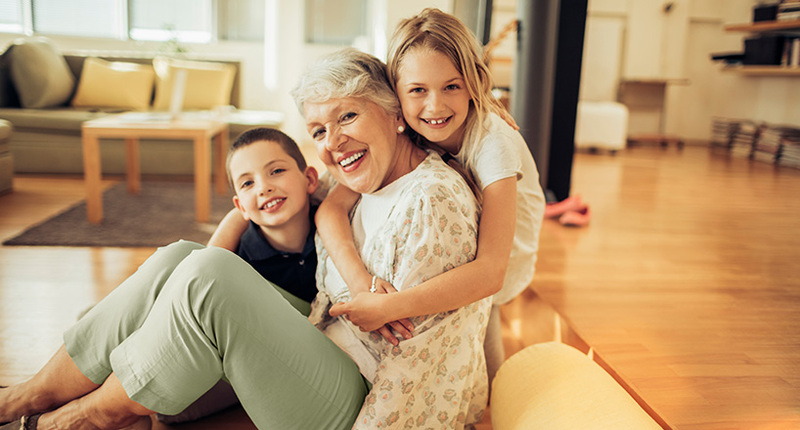 With our low rates, no pre-payment penalties and options suited to your budget and goals, Mission Fed home loans, plus our personalized service, help make the home-buying process as smooth as possible. 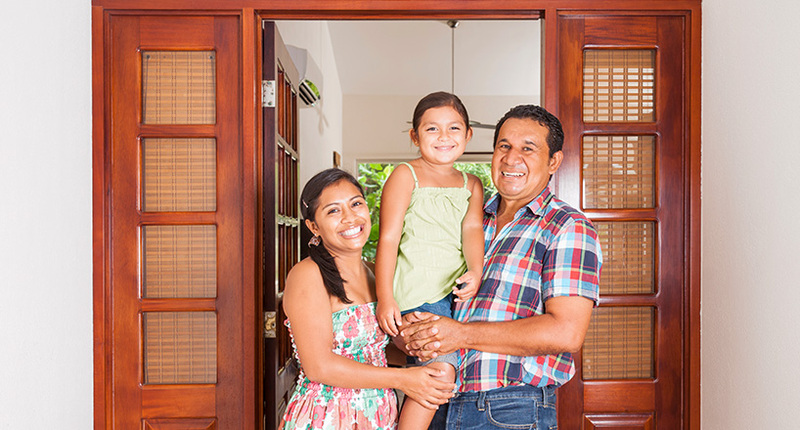 Visit www.MissionFed.com/Home-Loans to learn more about all of our home loan options and programs—we’re ready to help you turn the key on this important moment in your life.